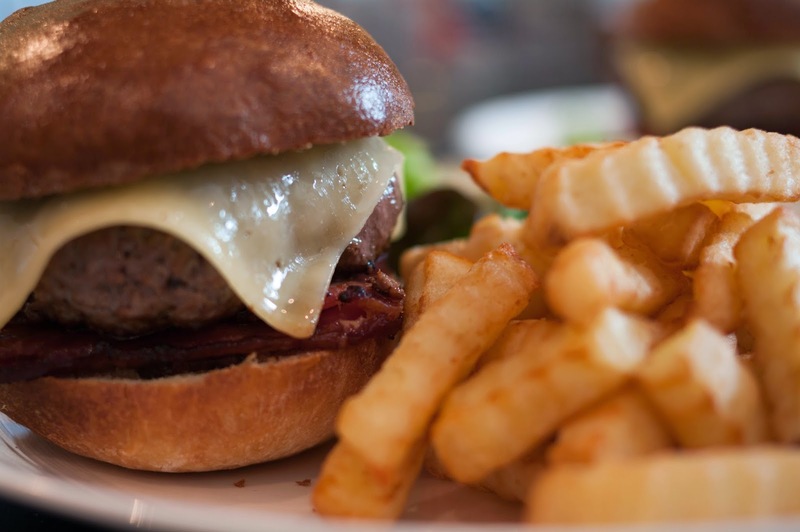 Don't Drive to Dinner: Possibly the best burger ever? I love father's day! Possibly the best burger ever? I love father's day! Oh my, I think I am actually high on burger. I'm suffering a burger induced euphoria. Burger rapture, perhaps. I've just eaten a burger so good my daughter cried when she realised she just one mouthful left. It's father's day today, and my wife and daughter decided to give me a treat that I'm not entirely sure I'm a good enough father or husband to deserve. The ultimate burger. Burger perfection. Burger nirvana. Did you notice I enjoyed my lunch? We've been researching the ideal burger for some time here, and today all those elements came together in the perfect burger storm. So, where do I start describing our journey to burger heaven? I guess it all started with this article and accompanying recipe from the The Food Lab at Serious Eats, with just a few adaptations of our own. First - the burger. 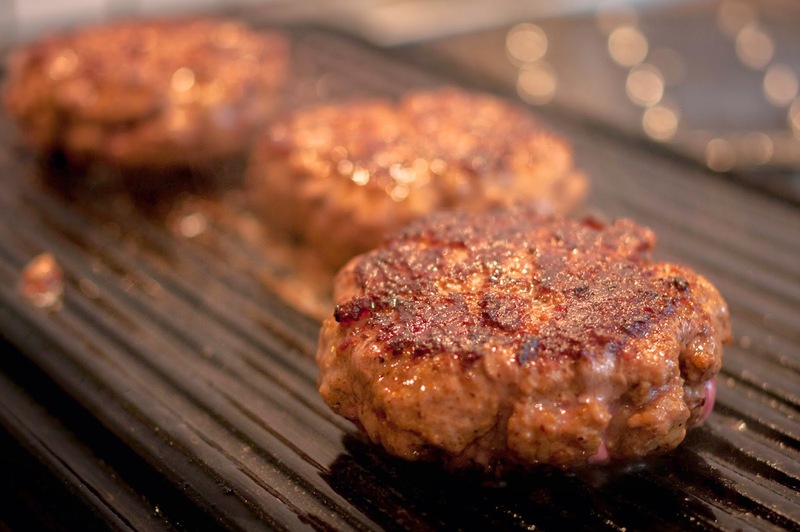 There's no end of debate out there on the perfect meat (and fat ratios) for the perfect burger. In the end, they chose to go with Hawksmoor's mixture of rib eye steak and bone marrow, and grinding it at home, but hit a brick wall early on - no bone marrow available anywhere in Cambridge. Luckily, those wonderful butchers at Gog Magog stepped in - yes, they had no bone marrow, but only because they'd been using it in their own award winning burgers. We'll have three of those please! Second - the bun. Although consensus is hard to come by (as with all things burger, the debates are endless), we've always favoured the brioche burger bun. Alas, Tesco let us down by being out of stock, but again, it was Hawksmoor that came to the rescue. 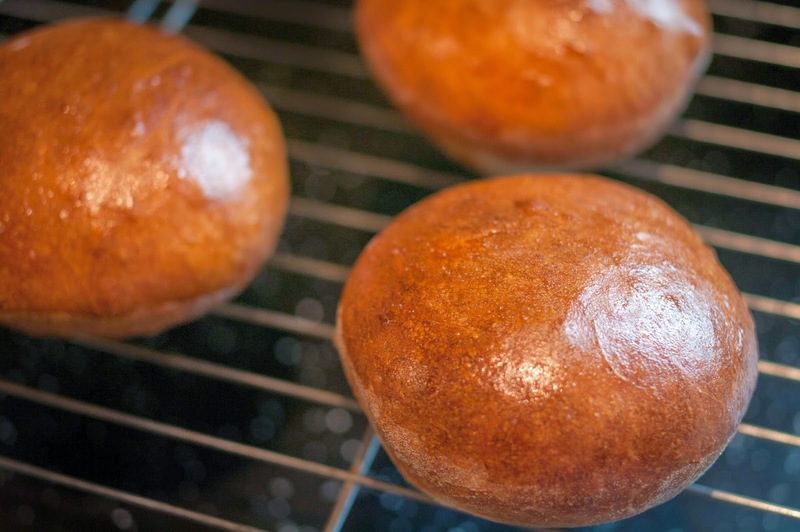 Their recipe can trace its roots back to a chinese bakery and has custard powder as the 'secret' ingredient. And let's just say, these buns were second to none. Firm, a good crumb, not too sweet, there was no chance of soggy bap (shudder) or burger collapse. Third - the weave. 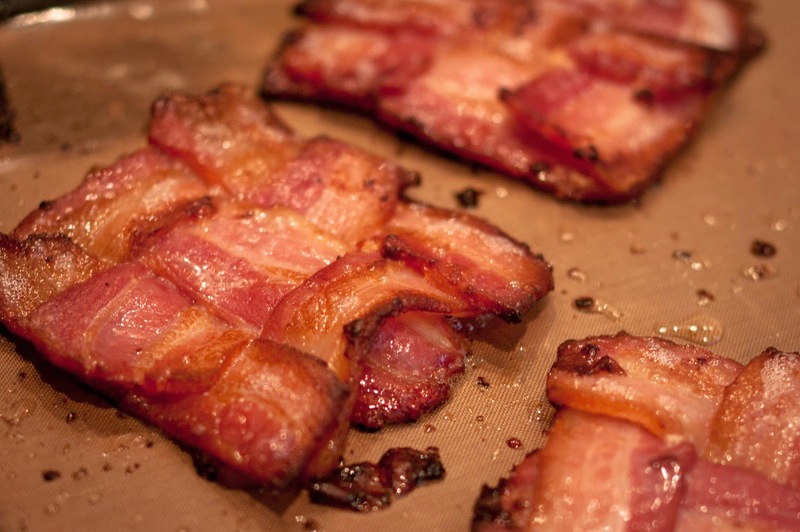 Oh yes, this is straight from The Food Lab - the bacon weave. Those could now be my two favourite words in the English language. Bacon weave. Oh yes. A handful of crinkle cut chips on the side, a pickle, a little salad and a glass of Adnam's Best Bitter combined to make the best burger lunch I think I've ever had. Happy Father's day from a seriously happy father!